It’s time for another Atlantic Hearts Sketch Challenge!! My card this week features another Picture My Life™ card!! 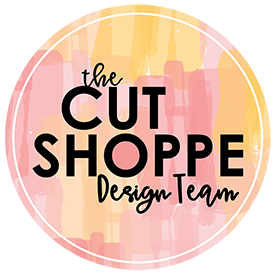 I started with a Kraft Cardstock Base, followed by a Blossoms B&T Duo™. To add a little dimension and appeal to the card I added another small layer of kraft followed by a small scrap piece of Lagoon Cardstock. I used an American Crafts punch to create the border along the edge of the Lagoon Cardstock. For the top layer of the card I used a card from the Skylark Picture My Life™ Kit. The sentiment is from the retired, 4 my Friend Stamp Set, in Chocolate Exclusive Ink™. I added a couple strands of Baker’s Twine and attached it to the PML card using the Mini Stapler. I threaded a couple retired wood buttons with colonial white waxy flax (also retired…still sad about that… I love that stuff!) I felt like the card was too heavy on the right side so I added some sloppy stitching to the left of the PML card. 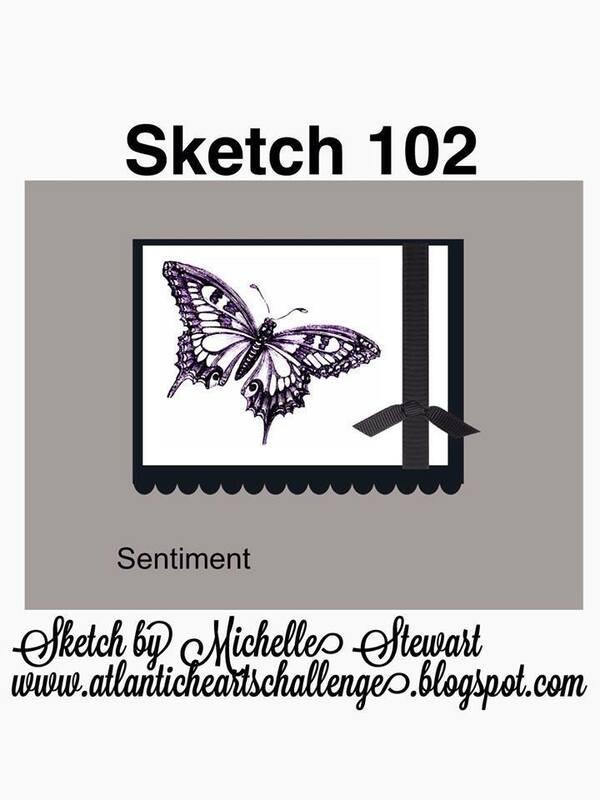 I hope you’ll join Atlantic Hearts Sketch Challenge this week! Love what you did with the mini stapler! 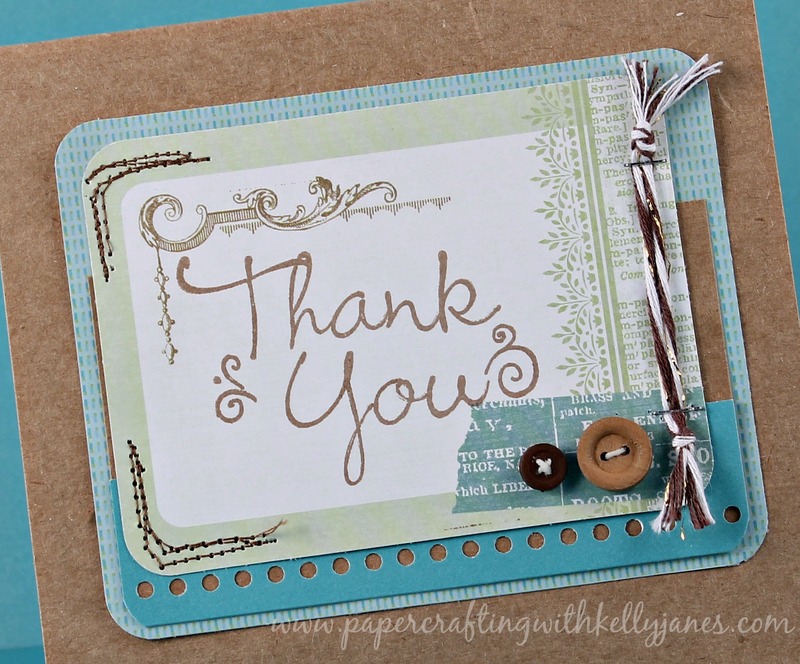 I love all the layers and the fact that you used a PML card! Great card! I love how you are using those PML cards – it’s amazing. This card is so very elegant and beautiful. Great work!